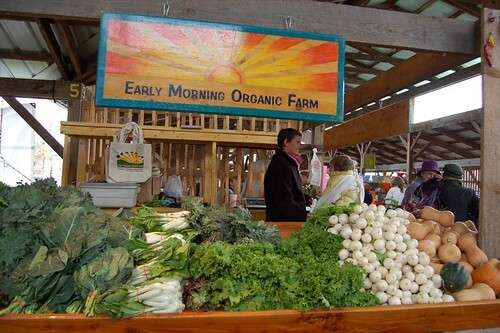 Since arriving at university two years ago, I've been meaning to go to the Farmer's Market. 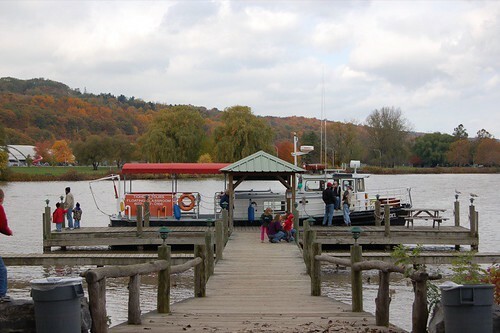 It only takes around 10 minutes by car, but even that is somewhat inaccessible for car-less college students (it would probably take 2 hours with the Ithaca bus system). Since last weekend was the first breather I've had in awhile, A and I headed down to the Steamboat Landing for some good ol' saturday morning browsing. It's also been getting progressively colder, so we didn't want to miss the last bounty of produce before the season is over. 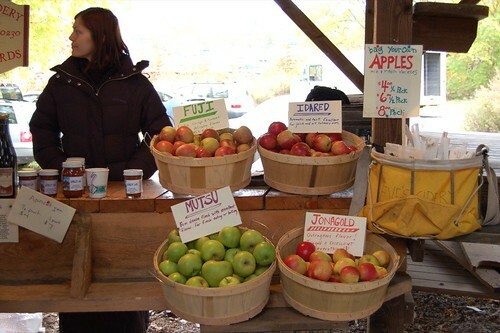 Upstate New York is known for the apples, and that became a recurring theme for many vendors. 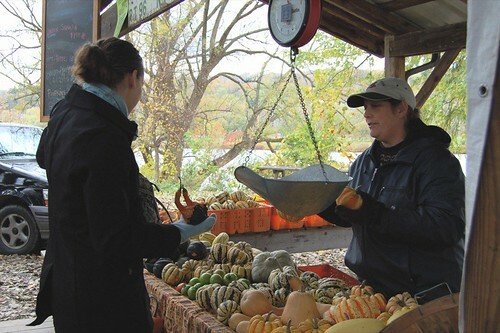 Squash and other winter vegetables were making their debut, with the early arrival of the cold this year. 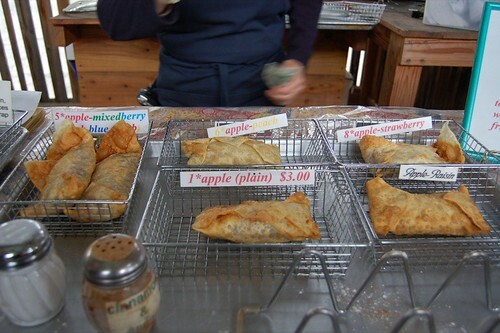 We started getting pretty hungry, so we hit up Solaz, the breakfast burrito stand that A highly lauded. We ordered the special, which came with creamy scrambled eggs, cheese, home fries, and sausage. The hearty and meltingly-soft burrito wasn't too photogenic--but it was tasty. Cambodian food vendor, who offered some curry, noodles, and banana fritters. 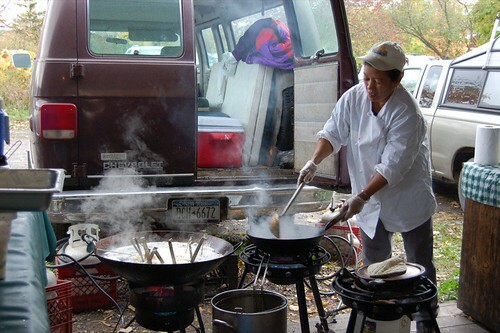 ..and his wife, who skillfully handled the two fryers. 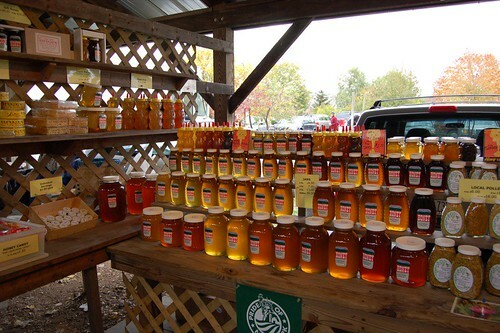 I had in mind to find something healthy that would help me stay awake besides my usual cup of joe, when I came upon this honey stand. They had some interesting flavors - amaretto, lavender, buckwheat - but even more interesting was my conversation with a fellow shopper. She mentioned that honey was indeed a good replacement for caffeine, but that truck drivers had even more effective tricks for staying awake. Of course, she also had quite a different notion of "legal." 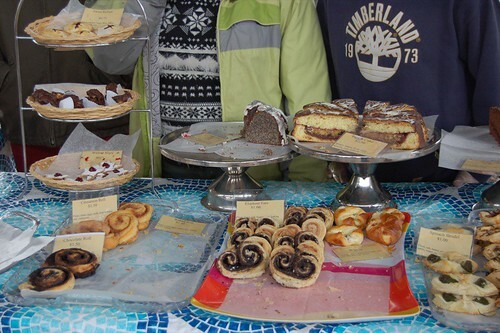 We then came across Macro-Mama, which sold a variety of organic salads and other macrobiotic things, but we focused more (solely) on the desserts. 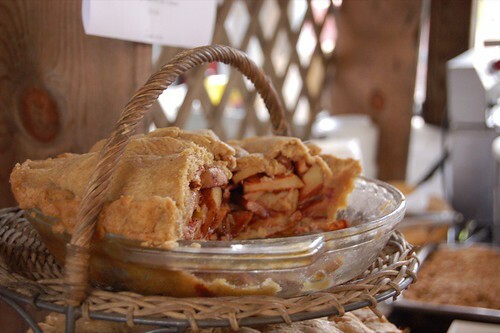 I couldn't take my eyes off the pie, which had quite a good height and apple to crust ratio. A good 3 inches tall, I'd say. We then came across Jung Ching Foods, where we met, presumably, Ms. Jung Ching herself. 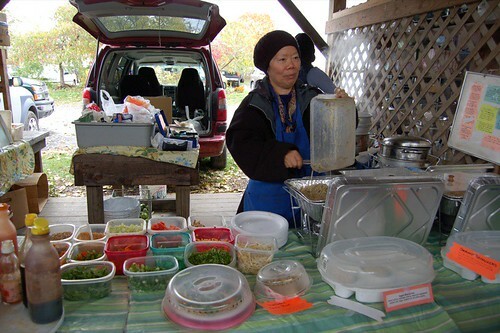 She sells a variety of egg rolls, dumplings, potstickers, and dim sum. 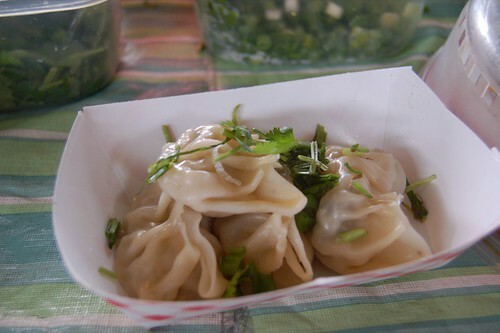 A and I decided to go for the shrimp dumplings, which were hearty and thankfully non-MSGified. 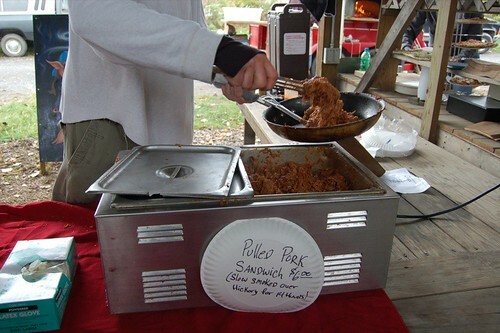 Pulled pork sandwich, apparently slow smoked over hickory for 14 hours. This produce vendor had some of the cleanest vegetables I've seen. The bok choy was practically snow white, and the swiss chard was so fresh I bought up a bundle. 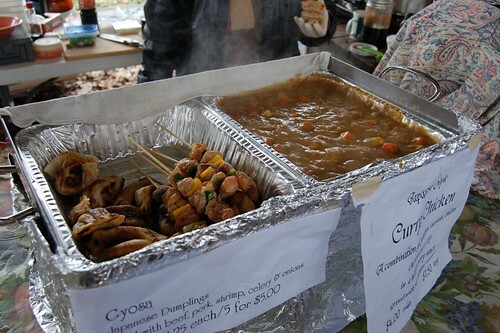 We then came across a vendor with Japanese food - gyoza, curry, yakitori, among other things. 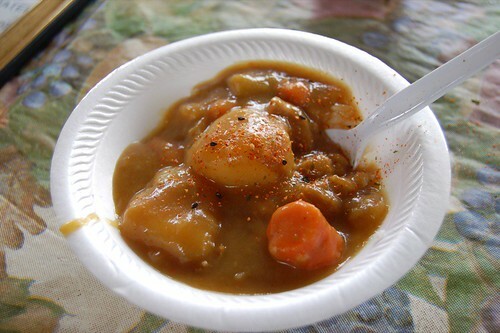 And we got the curry chicken, which was just we needed on that cold fall day. 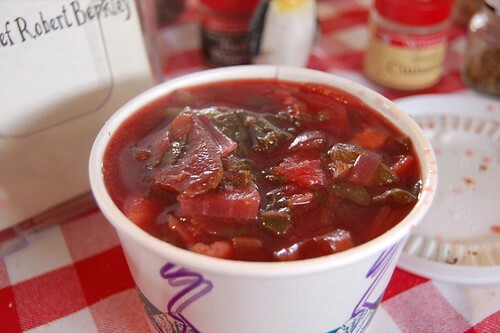 Since we were still cold and hungry, we visited a soup vendor where I ordered the vegetable medley - quite the health-conscious blend of swiss chard, green beans, celery, and carrots. 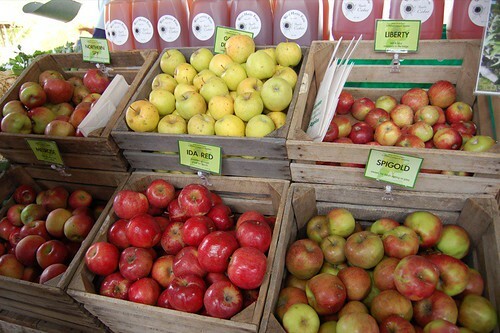 The Ithaca Farmer's Market offers a good variety of fresh produce as well as some interesting prepared foods. 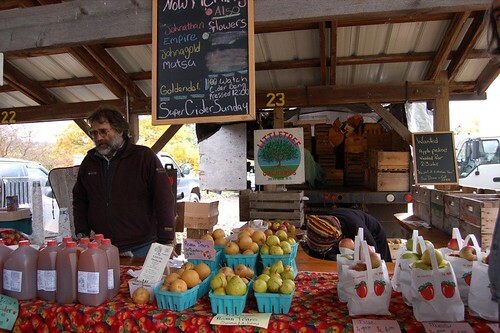 It is considerably different from the Ferry Building Farmer's Market with a style very distinct to Ithaca, complete with vendors selling unique wood etchings and even silk scrolls. Not only is it a great way to spend an afternoon, it's a way to support some of the nicest, hardest working individuals running those stands. 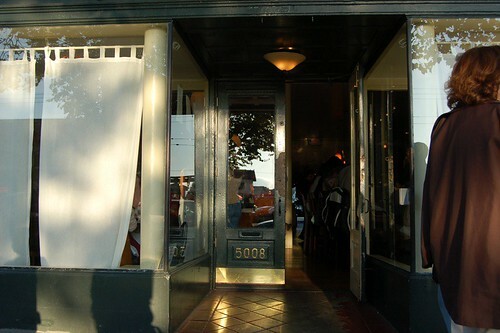 One of my very last meals before I came back to school was at Pizzaiolo, Chez Panisse alum Charlie Hallowell's relatively new restaurant in Berkeley. I had been wanting to try it over the course of the summer, but everytime I went, they were closed. I never quite got down their hours. The store has no signage, so just look out for the place with a bunch of people waiting outside. They now take limited reservations, so be sure to make them. 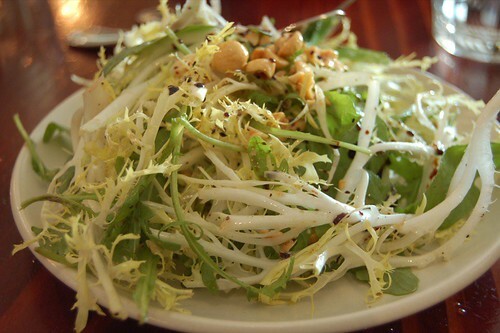 We started off with a refreshing salad, which was super fresh and perfectly underdressed. I loved the hazelnuts, which were slightly sweet and crunchy. Freshest salad I've had in a while. There were a few pastas on the menu that night, but the spaghetti alla norma was the natural choice, after my server informed us that the dish was meant to resemble Mt. Vesuvius. I rushed to take the photo right when it arrived; with the shaved ricotta and rising steam, the resemblance was uncanny. Of course, it tasted good too. 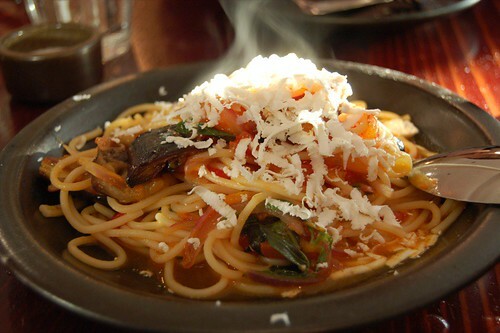 The spaghetti was a perfect al dente, the eggplant was carmelized and slightly soft, and the tomato sauce captured the epitome of tomato season. I was very excited to taste the restaurant's famous pizzas, but I was a little disappointed. 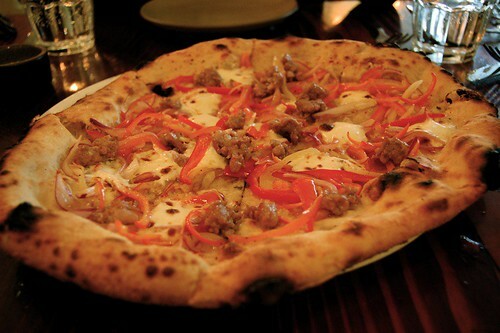 The toppings were great -- fresh red peppers and onions and delicious sausage -- but the crust was too burnt, dry, and bland. It couldn't live up to the great pizza I had at Picco. 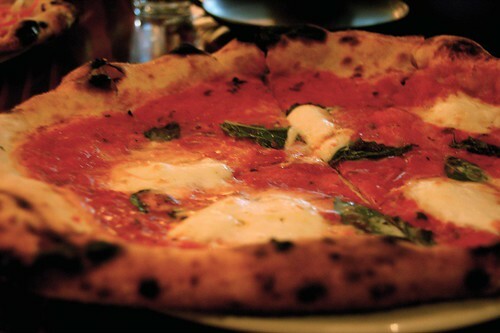 The crust on the margherita suffered the same burnt downfall. I did, however, love the fresh tomato sauce and cheese. The fresh mozzarella was probably the best thing I ate that night -- I just wish there were more! Reading the menu, I had no clue what a "Blossom Bluff Summer lady" was. But it sounded provocative, and anything from the wood oven couldn't be bad right? 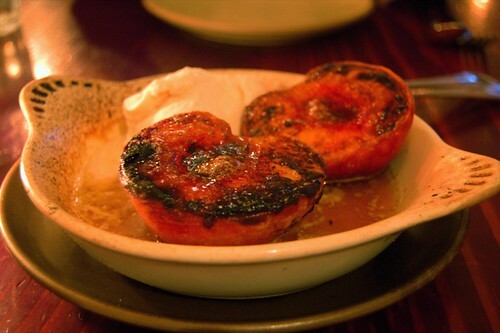 Much to my delight, a baked peach arrived; a ripe, juicy, height-of-summer peach, at that. Once again, I found it way too burnt, but that was easily overlooked with the wonderful peach juices swimming in the bowl, and the rich, creamy vanilla ice cream that accompanied. 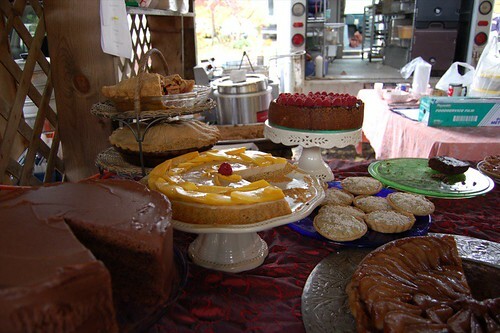 Bakesale Betty founder Alison Barakat is another Chez Panisse alum, and she recently opened a retail location right down the block from Pizzaiolo. 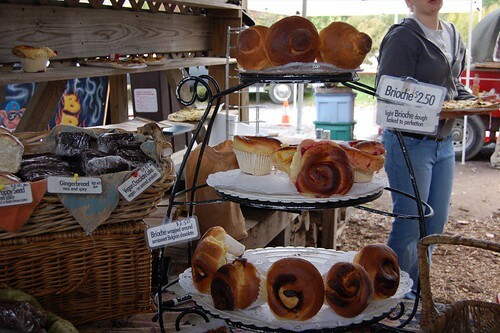 Fortunately, I got to taste her goods even though her store had closed for the day. 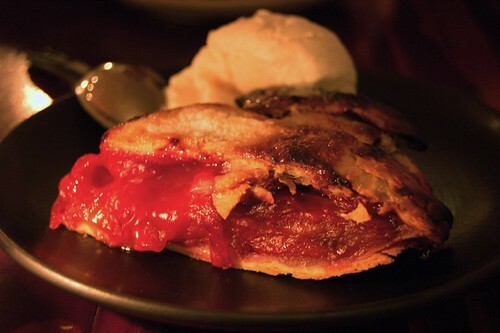 The pie was wonderful; the plum filling was juicy and tart, and the pie crust was flaky and light. However, some of the more flaky pieces and the rim suffered the same burnt fate, which rendered my favorite crusty parts inedible. What a shame. 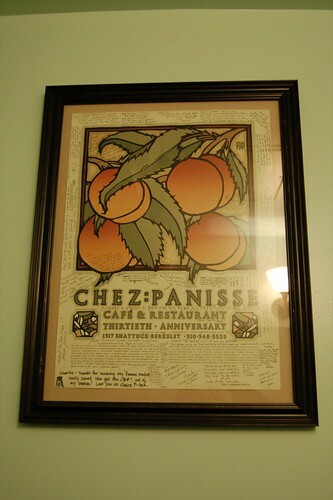 I knew bringing my camera into restrooms would pay off one day; here, I've captured the great Chez Panisse seal of quality. Pizzaiolo offers fresh, lovingly-prepared food at great prices, but it really needs to watch the temperature in that oven. 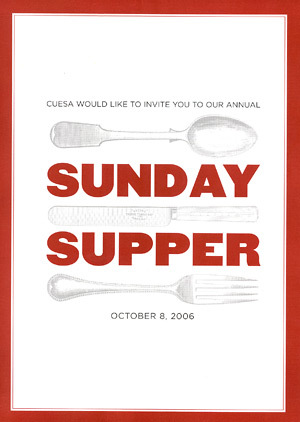 Service was efficient, and atmosphere was warm and crowd-friendly. Ok, I admit it. 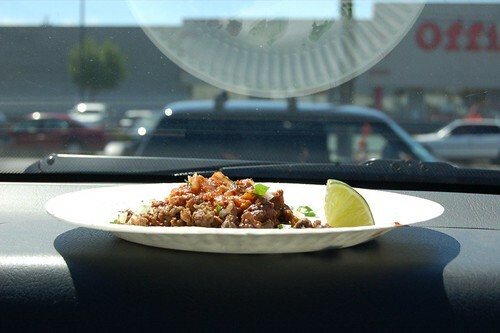 Prior to this summer, I'd never eaten a taco truck taco, no less consume anything out of a parked vehicle. 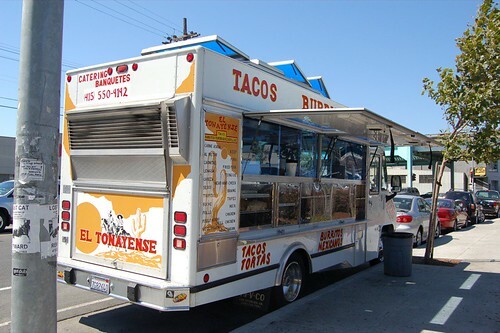 Timing was always an issue; everytime I drove by one of these I was just too full to eat. So one day, I made it a point to be hungry in the late afternoon to finally try the offerings of these culinary destinations on wheels (some others prefer to call them, "roach coaches"). Without nearby tables and chairs, I ate this on the trunk of my car, which I enjoyed since it actually felt like summer in San Francisco. My taco was overflowing with meat, to the point I had to brush some off and eat it separately. The beef was a bit less tender than I expected, but it was well-seasoned and hearty. Combined with the salsa and a squeeze of lime, the whole taco was a refreshingly zesty. And then I grabbed another to go. 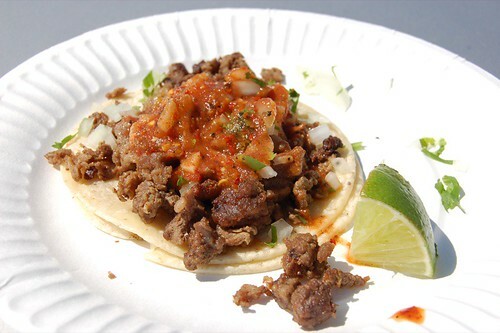 Taco trucks are a great asset to San Francisco. Tasty, cheap, and convenient, these trucks could very well reduce hunger for the masses (which I'm sure they already do). Now, if only I could just hunt down that fabled sushi truck. 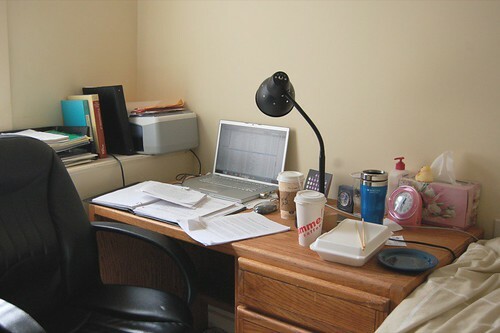 As you can see, quality of life is not at the top of my priority list. However, I do realize I need those nifty omega-3s for brain enhancing. Plum Tree, one of the three Japanese restaurants in Ithaca (literally), offers a good lunch deal on their bentos. 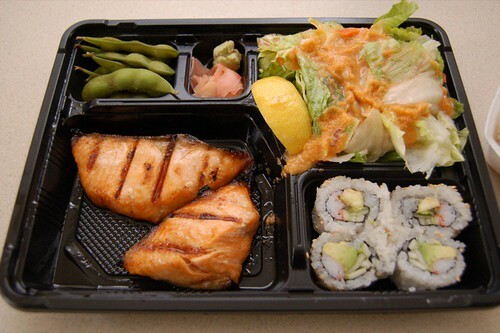 You get two good-sized chunks of grilled salmon, some california roll, edamame, salad, and rice for about $11. Pretty good deal for college students. Is it good? Well, the teriyaki sauce is a bit too sweet, the salmon is tough and overdone, but hey, it hits the spot. And its better than living off takeout tofu and vegetables or cold sandwiches all day. 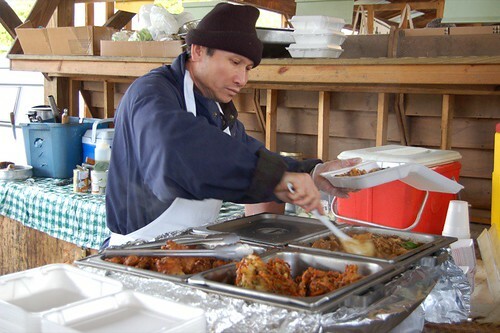 For you lucky ones in SF, there is a Sunday dinner at the Ferry Building at 7. Not only will you enjoy a five course meal from chefs of some of the city's best restaurants (Dining Room at Rit, Fifth Floor, Campton Place, Picco, Quince, etc), you'll also be supporting the Center for Urban Education about Sustainable Organization (CUESA). And that's pretty awesome.